Blog posts tagged "vitamin C"
Supplementing your diet with Vitamin C is vital because it is one vitamin that our bodies do not produce. And without adequate supplies of Vitamin C we become susceptible to scurvy, though scurvy is unheard of now a days. But, it did bring to light the importance of Vitamin C in the human diet. The Recommended Daily Allowance, RDA for Vitamin C is 60 mg a day. This RDA of 60mg a day is the minimum you need each day so you don't get scurvy. You can easily exceed the RDA and still gain massive health benefits. When considering vitamin it is important to note that there is the normal dosage and what is known as therapeutic doses, which are higher than the normal dose. Therapeutic doses will benefit us most when our bodies are in need of extra nutrition, such as when we are sick or recovering from illness. and Blue Green Algae to name a few . . .
One look at these amazing ingredients and you will see why this food based Vitamin C out does conventional Vitamin C supplements. We all have heard that Vitamin C is important but what for? Here are a few reasons why . . .
Vitamin C is essential to connective tissue health, function and repair, it works in synergy with collagen to support connective tissue. 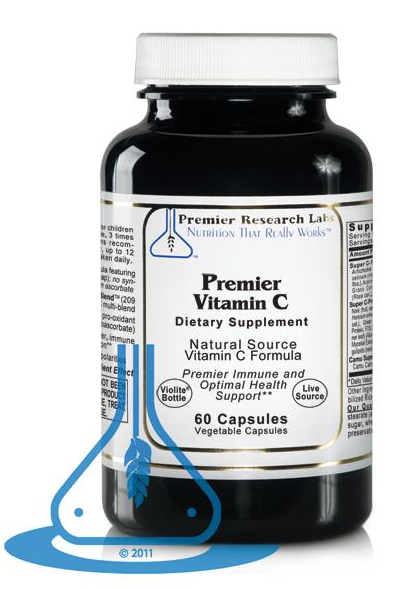 Vitamin C also helps to synthesize L Carnitine and certain neuro transmitters. This makes it especially helpful for wound healing as well as muscle repair, so if you are very athletic consider supplementing with Vitamin C. It also supports heart health, one of the largest muscles in the body. Vitamin C also supports capillary strength including blood vessels, this action also makes it an important component in wound healing. And then there is immune health and the free radical scavenging powers of Vitamin C. It should be noted again that the best results will be obtained when flavonoids are present. Because flavonoids have there own anti-oxidant powers, another reason to stick to food based Vitamin C products. Vitamin C has been found to stimulate immune system cells which make it a good cold season supplement. It has also been found to work with interferon, a protein which as anti viral properties. Vitamin C also has the ability to regenerate other anti oxidants particularly Vitamin E.
Vitamin C is one of our most important dietary nutrients it is water soluble and needs to be obtained from food and supplementation. And, Premier Research Labs has gone to great lengths to design a whole food supplement the provides comprehensive nutrition and anti oxidant protection. So keep your self well armed this winter, keep your Vitamin C intake up by eating plenty of citrus and raw vegetables. And for extra therapeutic benefits supplement with Vitamin C.
Is all vitamin C is created equal? The simple and true answer is a resounding "NO". Is something made in a factory/lab the same as something that grows on trees? "NO". It pales in comparison. Man made vitamins are limited in their scope because they are not backed by and supported by the concert of nutrients found in nature and in fruits. And in this case the Acerola Cherry which is what Truly Natural Vitamin C™is made of. If you were to buy a Vitamin C tablet at the drug store you would be buying a lab made ascorbic acid powder. Now ascorbic acid is only a part of Vitamin C, not the whole picture. Now say if you were to eat a handful of Acerola cherries or peel an orange you would be getting ascorbic acid along with hundreds of other co-factors which all work in synergy to give you a well balanced Vitamin C compound. This complex is not easily replicated in a lab. That is because when it is found in nature it is naturally balanced. The main issue with isolated nutrients commonly found in vitamins on store shelves is that they are not balanced. And, when we ingest these unbalanced compounds we contributing to a body out of balance. Your body does not recognize isolated nutrients as nutrients because they never come that way from nature. You would never find ascorbic acid all on its own in a fruit or food, you would find it in concert with quercitin, rutin and other bioflavoniods. This is because these other compounds are needed for the full and proper absorption of Vitamin C.
food (100% Acerola Cherry Powder). Truly Natural Vitamin C™ is truly a well balanced and pleasant tasting food supplement that is easy to use worth adding to your daily diet. And not only is this product really good for you it is also on sale, a 6 ounce jar normally retails for $17.86 but you can now buy it for $14.29 a savings of over $3.00 over normal retail. We could all use a little more Vitamin C in our lives so why not get from a food source like Truly Natural Vitamin C™. These two go hand in hand, winter tends to be a dry season, combined with indoor heat this can lead to a rapid loss of moisture from the epidermis. There are some very practical things we can do to help keep our skin moist and supple; hydrate, increase you consumption of healthy fats such as coconut, olive and hemp. On top of all this you want to keep the barrier that is your skin supplied with rich botanical and healthy nutrients. Methyl Sulfonyl Methane, is a form of highly bio-available sulfur, sulfur is referred to as the "Beauty Mineral" by the health enthusiast David Wolfe. Sulfur is used by the skin for its regenerative capacities helping in the formation of new skin cells. Sulfur can also address skin conditions such as dandruff, dermatitis, acne and more. MSM is a form of easily available sulfur, that is helpful for the skin, joints and connective tissue. The best way to guarantee that you are getting enough sulfur in you diet is to supplement with MSM. MSM works in synergy with Vitamin C so use these supplements together. Your best vitamin C option is a food based supplement because they are buffered and contain the natural bioflavonoids common in food sources of vitamin C.
The skin is the largest organ of the body and this barrier transfers much moisture. To support this barrier, our skin, it is important to keep it nourished and properly moistened. Our lotion is pure, natural and contains MSM, Vitamins A, C, and E, which are powerful antioxidants that help combat the damaging effects the environment can have on the skin. MSM has also been found to reduce pain in carpel tunnel syndrome, reduce scars, restore elasticity to the skin and eliminate chafing. MSM Lotion leaves your skin soft, hydrated, smooth and is hypoallergenic. All ingredients are vegan and from ecological sustainable sources. No alcohol, chemicals, solvent, methyoalcohol, paraben, or animal products. Never tested on animals. Our lotion comes in two sizes 8oz and 32oz. Zebra Organics stocks a full selection of MSM products including powders, capsules and lotions. Consider adding MSM to you diet and definitely consider the lotion as a support for healthy skin. Camu Camu to the Rescue! EAT WILD FOOD! Try and make this a mantra and an action, you will feel the difference as the cells of your body drink in the vibrancy that comes from non-domesticated food sources. At one time wild foods were all that we ate. Now we are lucky if we get a fraction of a percent of wild foods in our diet. Zebra Organics is proud to offer a high quality Camu Camu at super price. 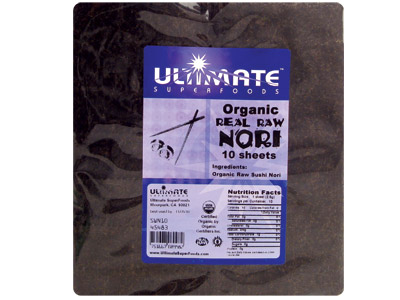 We have an 8 ounce bag for 30% off normal retail price. Luckily the raw/live food movement has sparked a revolution that has also brought many new and exotic wild foods to our table from around the world. Among these noble foods Camu Camu stands out in particular, due to its vibrancy and the amazingly high amount of Vitamin C it contains. The form of vitamin C found in camu camu is highly absorbable by the body. It also is rich in vitamin C co-factors which aid the body in using Vitamin C. Commercially available vitamin C tablets and powders are made in a lab. They usually contain only ascorbic acid which is a simplified version of vitamin C. Ascorbic acid lacks the co-factors of food based vitamin C and is not recognized by the body as a food or nutrient. The additional antioxidant compounds found in camu camu benefit the immune system, skin and eyes. Eye strain is particularly an issue as more and more people are on computers and other electronic devices for hours at a time. The anthocyanins in camu camu, keep the capillaries of the eyes strong and healthy and they also benefit the skin helping it to stay supple. This enlivening and fun Amazon superfood is tart and tangy and full of antioxidants to keep you feeling healthy and strong. 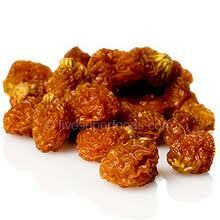 Winter is approaching and it would be wise to keep the body and pantry well supplied with this amazing little berry. Camu camu is available in powder form, which makes it easy to add to smoothies, stir into juice or add to food. Camu camu is also rich in minerals, amino acids, B vitamins and phytonutrients.